sensesonfire wrote: There is only one true religion and whether you believe it or not is irrelevant. That's what the ISIS loonies say also. I understand where you are coming from, gregvalentine. I've always said there are 100's of religions on this planet and each and every one of them believes only their particular doctrine is the real truth. Common sense says they can't all be right and IMHO, probably all have it wrong! Well, Christianity has the largest following so the majority obviously believe the Christian doctrine is the correct one so maybe you two are the ones that have it wrong. sensesonfire wrote: Well, Christianity has the largest following so the majority obviously believe the Christian doctrine is the correct one so maybe you two are the ones that have it wrong. Keep digging a bigger hole for yourself buddy. Well Shaz... you have certainly tipped a bucket of cold water on this discussion! I have to disagree with you Shazzoir. When I started this thread as the title suggests it was very much based on a religious belief and biblical research taken from the Bible and non- Biblical doctrines like the Dead Sea Scrolls nothing to do with other religions except the Christian Bible and that's all the information I need. As usual when the word religion is mentioned there generally is an immediate negative reaction but I expect that. This thread has been very successful even Google has seen merit in uploading it onto a website along with another comment I made on Dogman. It would be appreciated if comments were made based on research doesn't matter what type - science, religion or anything else of interest. But I find snide remarks or just straight out contradictory posts by some as very unproductive. I was pointing out that arguments about specific religions don't seem to be furthering the discussion of the topic / subject matter, as e each of us have our own beliefs and I expect those to be respected. Quite right Shazz, my apologies. I should have preceded my title with the word Christian much like ChrisV's title The Christian Vs the Yowie that would have made it more exclusive although I doubt that would have stopped the usual suspects. I like the discussion that folks have had in this thread, generally, so definitely happy for continued thoughts to be aired. Religious beliefs can't be quantified by sheer numbers - even when most people in the world believed the Earth was flat, that didn't make it 'more' factual. They were still wrong, majority belief or not. Negating the beliefs of others in such a spurious way seems....well, uncharitable (to say the least). Dammit Morpheus! Not everyone believes as you do. My beliefs do not require them to. Simon M wrote: Religious beliefs can't be quantified by sheer numbers - even when most people in the world believed the Earth was flat, that didn't make it 'more' factual. They were still wrong, majority belief or not. 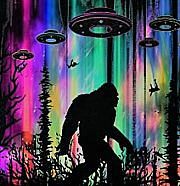 Simon, this is a Soap Box section of our Forum where those who hold passionate views/opinions regarding various aspects of Theology, Creation, Religion, Paranormal etc - pertaining to the Yowie can be POLITELY debated, away from our mainstream friendly Yowie / Bigfoot Discussion Board - as you are aware. I do believe my comments have covered the entire Theology, Creation, Religion, Paranormal topics. 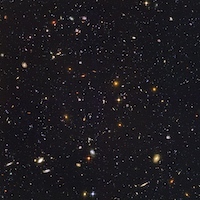 I am really only interested in what the Christian Bible has to say and I'm sure there is a lot more in there that I haven't discovered; however, if people want to refute this with another religious or scientific approach please do so but remember contradictions and counter claims mean nothing without backup research. Cryptozoologists are desperately seeking a scientific explanation and I've emphasised this many times but they are left lamenting because science won't touch this topic with a ten-foot barge pole but at the same time steadfastly refusing to accept an alternative. It's fine if the Bible all your interested in - and you're right to say that contradictions and counter claims mean nothing without backup research. But the Bible isn't research, it's theology. It's a belief system, not a scientific treatise. When it was written the people who wrote it knew nothing of Asia, Europe or Australia. The world was a very different place and they expressed what they knew of it. Which is fine. Cryptozoologists gather information - factual information. They collect and collate information; that's what science is. Science isn't 'trying' to disprove your religious beliefs. Applying scientific methods to a situation does not mean that anyone is negating your religious viewpoint. The two things are mutually exclusive, but they're not competing to be 'more right' than each other. There are various ways of interpreting facts, and people disagree about them, just as they disagree on interpretations of the Bible. Witness the many branches of the Christian faith and the sometimes serious disagreements between them (Catholics and Protestants in Ireland, for example). All information can be interpreted differently by different people with different perspectives. To say the only 'alternative' to not knowing something is to accept one particular viewpoint makes no sense to me. That's all I'm saying. The idea that there is a 'fight' between science and religion seems odd to me. There isn't one viewpoint that's 'more correct' than another. Every viewpoint has interesting aspects we can learn from to expand our own knowledge. There are facts and there are assumptions, true, but the Bible isn't based on fact. It's based on faith. People choose to believe in it or not; if you choose not to believe in gravity it won't stop having an effect on you, because it's a fact. Religion is a choice people make. To state that the Bible must be correct is an assumption. I make them as well about different things. I assume there's such a thing as a Yowie, but I cannot prove it. I assume that all politicians are self-serving bastards, but I can't prove that either - it's a belief. There's a clear difference between fact and belief. Everyone can believe what they wish, but belief and fact are distinct from one another. Having said that, trying to apply the Christian Bible to anything other than philosophical or intellectual discussions confuses me. You can apply its teachings to social situations, to what is or isn't acceptable social behaviour and the like, and more abstract concepts of right and wrong which we all agree with (such as the Ten Commandments and the Golden Rule, for example)...but you can't apply it to facts that were not known about or understood before it was written. The Bible being utilised to 'explain' things like IVF, or evolutionary theory, or the bioethics regarding the use of human embryos in medical research, etc, will always wind up causing an ideological train-wreck. The Bible simply can't be used to deal with these situations because its authors had no way of knowing these things would happen. The world they lived in is reflected beautifully in the Bible, and the Bible's philosophical teachings are timeless, but it has its limits. If any ancient religious text is taken literally, it will not sit well within the modern world...how can it? Killing people who are believed to be witches? People who live to be nine hundred and sixty nine years old? The Bible is allegorical in nature; facts are incidental to it. The issue - as Joseph Campbell said - is one of whether or not we focus on the denotation or the connotation of a religious text. To cut a long story short when science can produce hard evidence to convince me on their explanation of these cryptids then I may be willing to recant some of my Biblical beliefs but I know that is not going to happen. sensesonfire wrote: To cut a long story short when science can produce hard evidence to convince me on their explanation of these cryptids then I may be willing to recant some of my Biblical beliefs but I know that is not going to happen. Nobody's asking you to 'recant' anything. Your religious beliefs are your own business and none of mine. This is why you confuse me - everything is presented as an 'either/or' proposition. "If it's not this then it must be that" or "Until that happens, I won't accept this" etc. I'll state again - no one is asking you to recant, refute or deny your faith. 'Science' is not asking you to do that and neither am I. Take your statement above - you state that you 'may' be willing to do something, then instantly state in the same sentence that you 'know that is not going to happen'. It's confusing to me. Why is it so black and white? Maybe there are aspects of things science is better at explaining than anything else is, and maybe there are aspects of the same thing that religion might be better at explaining. Why is there a strict dichotomy? Both ways of approaching an issue may be able to help us understand differing facets of that issue. We don't only turn right when we drive a car; we can turn left or right depending on where we're heading. It's the same with thinking - mathematical knowledge won't help us write a novel, and literary thinking won't help us build an aircraft. The idea that everything - especially thought - is a "it's either this or it's that" sort of proposition is so strange to me. I'm sure there are people who'd think we're both mental for even discussing Yowies - "They're discussing Yowies; they must be mentally ill". That's the same specious reasoning at work. Simon, you are right when you say there are people who think we are both mental for discussing Yowies as well as Bigfoot and may I say the bogey of them all Dogman but you and I know they exist or the Yowie and perhaps Bigfoot in your case. I will say this though most Christians with their beliefs have a strong idea about where these creatures come from but are reluctant to discuss it. Have you tried that with a scientist i.e. the biological sciences (zoology, genetics, paleontology, molecular biology, physiology) they will look at you with a perplexing look as if to say you don't actually believe that do you? So the ''this or that'' proposition isn't strange to me at all because one group has a distinctive belief the other has none. When I say it's not going to happen there is no way science is going to go out on a limb and jeopardize their standing by stating yes, these creatures do exist so (Christians) are comfortable in their perspective and yes Christianity is based on the scriptures and faith and if science doesn't agree with their position on this subject then it's up to them to come forth with explanations - although we are still waiting after four hundred years. I'd argue that most Christians - and even most atheists - couldn't care less about cryptozoology one way or the other. Most scientists won't speak about it, you're right, but several have done so. Grover Krantz, Jeff Meldrum, Jane Goodall, Samuel Sentell, John Bindernagel, Esteban Sarmiento and LeRoy Fish are all reputable scientists. They have all publicly stated that they think research into cryptid hominids should be taken seriously by their colleagues. All of the people I named have serious scientific credentials, and Jane Goodall is world famous. To my way of thinking, it's a question of money. Is there money in doing research into Bigfoot? None whatsoever, and that (I think) is why no one bothers. Like the 'Hollow Men' in Conrad's Heart Of Darkness, many scientists avoid doing anything which isn't directly related to making money. There's money in being a geologist (for example), or an industrial chemist, or a marine biologist. You can get a good career out of those fields. Make money, earn respect and have a good life, etc. Who'd pay you money, though, for so-called 'Blue Sky' research into Bigfoot? There's no payoff for the people who are funding the research. Venture Capitalists demand results; a return on their investment. If someone managed to spend tens of millions of dollars to prove, beyond doubt, that Yowies were there....how would the investor make their millions of dollars back? They wouldn't. Also, you'd cop a lot of abuse and insults while you were going about your research. No scientist wants to be treated as a joke. That's the issue we're faced with, in my opinion. Yowies aren't seen as profitable. Even billionaires don't want to waste their cash (just look at Clive Palmer or Gina Rinehart and how jealously they hoard their vast sums of money), and generous ones (such as Andrew Forrest) are rare and like to spend money on things that make them appear magnanimous or admirable. They don't want to look silly either. Who does? That's my take on why science ignores this issue. It's literally not worth their valuable time so they don't bother. As to what I believe you're alluding to regarding Christian beliefs - that cryptids are of a supernatural (and presumably, therefore, of a satanic/demonic) nature, that's another belief. People can choose to agree or not. It still isn't a fact. I believe you mean that cryptids are Biblical indicators of the 'end times' - I could be wrong, but that's what I believe you're implying. Again, it's not either/or. Most scientists do not have an explanation for the Yowie, as you correctly state. That doesn't mean that another explanation "must" be "right" because science hasn't got a solid position on the topic. The lack of an explanation from one school of thought does not elevate the explanation from another into the realm of fact. If I cannot explain to you the reason why some people are hopelessly addicted to gambling, and someone else says to you "It's because they weren't breastfed as babies", that doesn't become correct simply because I don't have a ready-made explanation. I believe the Yowies are descendants of the frost giants that once roamed the world. This is clearly highlighted in the historical, Norse religion whereby the first of them was Ymir. From him, all the great giants spawned. There's every reason why others should share my belief, which as I said, is clearly presented in all Norse and Scandinavian mythology. All you need is the historical readings and faith. Com'on science, prove me wrong. The limits of our perceived world is constrained only by the inability to believe. I agree BR... what the Norse (and others) called the Frost Giants were in fact the ancestors of Sasquatch/Yowie who had adapted to survive the extreme weather of the Ice Age. Other animals had gained enormous size and thick, woolly coats during this period... giant bison, woolly Mammoths, wooly Rhinoceros, great Cave Bears and other predators... so why not a Hominid. Early man, migrating north would have encountered these hairy giants in the frozen wastes and the lush valleys carved out by glaciers and they became legend. It is likely during this period the giants learnt to avoid the multitude of armed 'Hairless Ones' and as the ice retreated they slowly evolved into a variety of smaller creatures with occasional throwbacks (explaining some rare reports of 15 to 20 foot tall Mountain Giants). Frost giants is as good a theory as any others. They could be all these things. Seems to me that the story of the yowie has been told many times before. In folklore and by the indigenous people the world over. Simon M, once again, I am here, nodding in appreciation and agreement with another of your beautifully worded comments. No scientist working full time for ANY company/government has no time for research that does not have part-or full-funding from commercial enterprise or the mother organisation. Scientific research is big money oriented, and it's a hell of an industry to work in. Time demands and accountability for time/outcome results is horrendous, and I imagine it's only scientists who use their sparse spare time to delve into this fringe topic, or those retired-from-the-field folks who have time to do so. There is no money associated with curiosity these days, unless there is a pretty strongly guaranteed payoff at the end, and in this case (Yowie research), there isn't. Shazzoir wrote: Simon M, once again, I am here, nodding in appreciation and agreement with another of your beautifully worded comments. Yes, I couldn't agree more. As we become more focused on technology and 'efficiency' so to do these things feed back into society; how long will it be before the gap between the technologically advanced and the technology disadvantaged becomes insurmountable? The more dependant on technology mainstream society becomes, the more marginalised people who are not technologically 'keeping up with the Joneses' will become. It's already happening to people who are below the poverty line or those who are over a certain age and feel 'shut out' by modern technology. I'm not sure when the news became filled with statistics about how the flu 'costs' the 'economy' x-amount of money per year, but those sorts of analyses are commonplace these days. Do we have a society supported by an economy, or are we moving towards an economy which is being supported by a society; one which must justify itself to that economy by being fiscally efficient at the cost of dehumanising those who live in it? It's the same with scientific research - if you can only research what's deemed to be profitable by the super-rich then that dictates the kinds of advances society will get. If no one will fund investigative research for its own sake, then it won't happen on a large scale. Even the term 'blue sky research' seems like a derogatory one - it conjures an image of someone daydreaming, or not being as overtly 'cost effective' as the economy demands they must be. Also, thank you for the compliment. I try my best not to type drivel. Brindabella Ranger wrote: I believe the Yowies are descendants of the frost giants that once roamed the world. This is clearly highlighted in the historical, Norse religion whereby the first of them was Ymir. From him, all the great giants spawned. You may be right Brindabella Ranger but waiting on science to prove you correct may be a wasted cause. Some on here are losing sight on what this section of the forum is about. sensesonfire wrote: Some on here are losing sight on what this section of the forum is about. I know of at least four forum members all hands on experienced researchers who no longer or rarely post comments anymore because of the negative replies they receive by some (you know who you are) and this is unfortunate as I for one had a great interest in what they had to say. I keep on having to remind people that this section of the forum is for Theology, Creation, Religion, Paranormal so if you can't contribute positively maybe another section of Yowiehunters forum would be more appropriate where you can cast your pearls of wisdom unabated. You seem to be suggesting that peoples arguments against some others' opinions should not be tolerated because you see them as "negative". You may be right Greg as far as my beliefs on Yowies/Bigfoot/Dogman etc. are concerned especially the paranormal aspect of these cryptids because I believe that I have been given a greater insight on these cryptids than most. That may sound portentous I suppose, however, I conclude this is the case. I mentioned the four forum members who no longer post ; they were all experienced researchers who have an interest in the paranormal Yowie/Bigfoot and have reported instances that cannot provide a satisfactory explanation. I would assume these people to be very credible witnesses because of their practical knowledge of the subject and because of that those are the Forum members I am most interested in. Even Dean Harrison himself, as well as others, have had experiences that they cannot explain. Paranormal cryptids are very real and because of their paranormality/supernatural abilities, we are looking into a different realm, a reality that a lot of people can't accept especially those grounded in science. I've had two very real supernatural experiences while posting on the Yowiehunters Forum so I can only assume there is someone who did not want me to comment on that particular topic. Everyone has a right to an opinion but I prefer facts and in this instance paranormal/supernatural Yowies, Bigfoot, Dogman are factual. I dont see what science has to do with the yowie at all. The science community are either completely ignoring this fascinating and cutting edge subject or possibly secretly researching them and either way we will never know anyway. Other than funding and lab access for dna etc theyre in the same boat as everyone else researching the hairys. Gotta find one first before they murder and dissect one..if thats even possible!! If they were researching them ( secretly!) Then they are probably using our ( taxpayers) money anyway. Science is real good at patting itself on the back , even when fixing their own stuff ups. Lol. Imo and it doesn't take a genius to figger this out, they (science, inventorsetc ) have already f$#@^%d us all and i seriously doubt they will be able to repair the damage theyve caused to the planet and society this time.